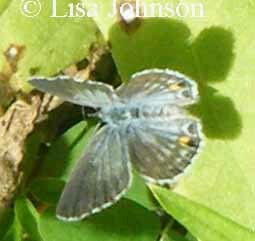 Identification: Upperside mostly blue; female hindwing with orange spot at lower edge. 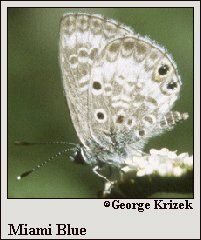 Underside of both sexes with 2 eyespots on the outer margin and a wide white submarginal band. Caterpillar Hosts: Balloon vine (Cardiospermum halicacabum) in the Sapindaceae family, possibly snowberry (Chiococca alba), and various legumes. Range: Florida Keys and West Indies. Formerly in southern peninsular Florida. 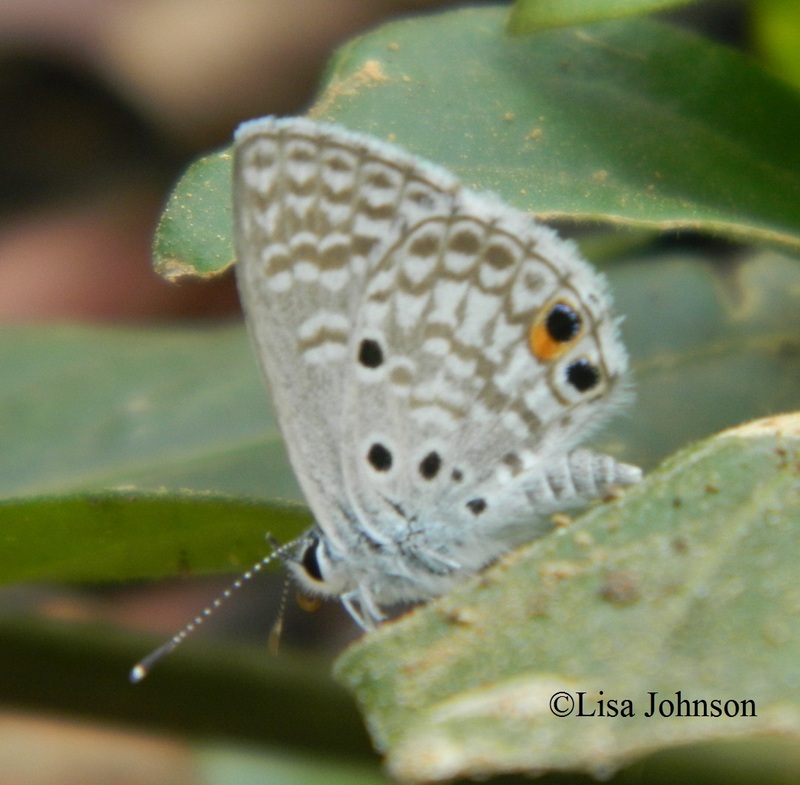 Conservation: Loss of habitat due to urbanization has extirpated this butterfly on the Florida mainland. All Florida Keys populations should be protected. 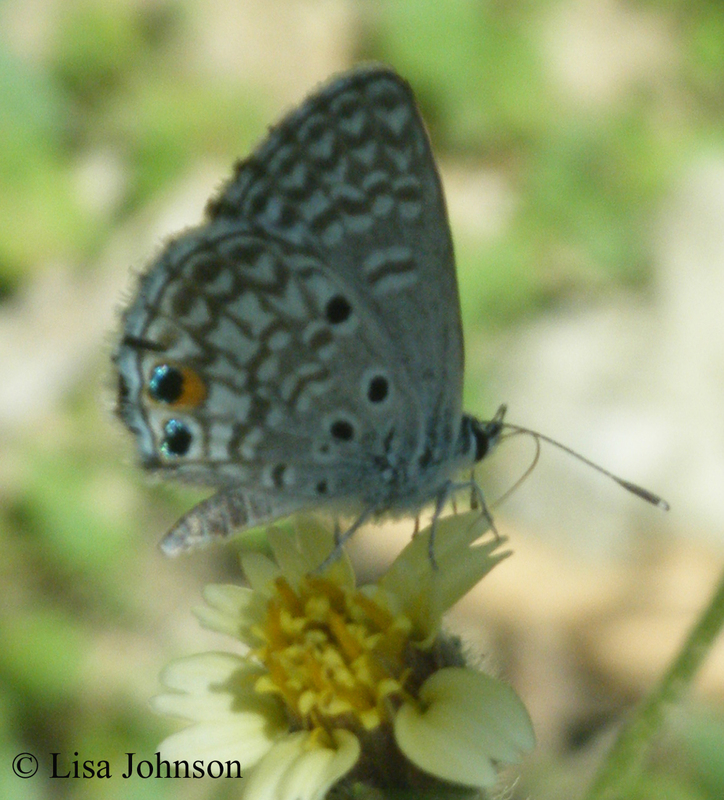 Management Needs: Preserve habitats of balloon vine and nectar sources.